This is a manuscript on which I have been working for the last few years. I am trying to formulate a value based approach to economics. This will generate several new insights such as the notion of shared goods, the realization of values in different spheres, and the reinterpretation of concepts like richness and poverty. It makes for a substantive approach to life rather than the instrumentalist approach that currently prevails. 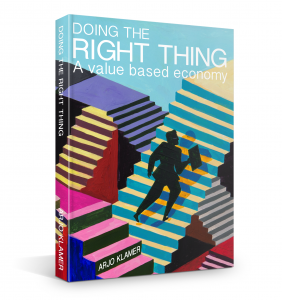 I have been applying this approach in all kinds of situations in the professional and cultural world and would dare to claim that the value based approach is more practical than the main body of standard economics, at least when a good life and a good society are what we strive for.